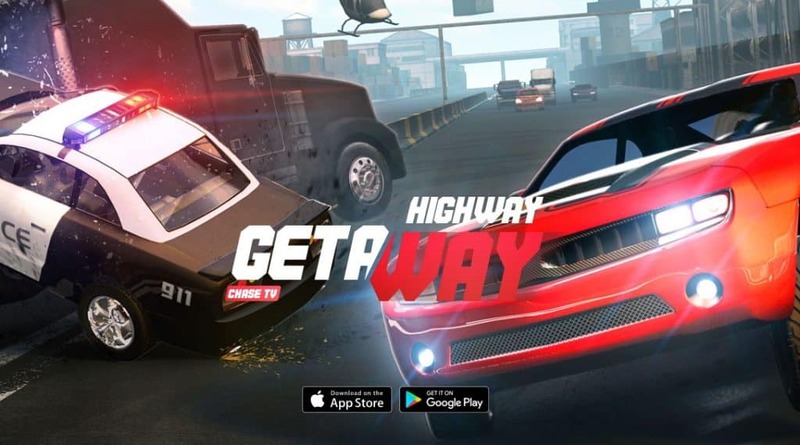 Offered by Vivid Games, Highway Getaway: Chase TV is a racing game that requires you to drive your car as quickly as possible in order to outrun the police and increase your wanted level. It provides you with a number of cars and various types of driving landscapes, and gives you the ability to upgrade these elements to complete missions faster. The endless runner is designed for mobile platforms i.e., Android and iOS, but it can be installed on a PC as well. 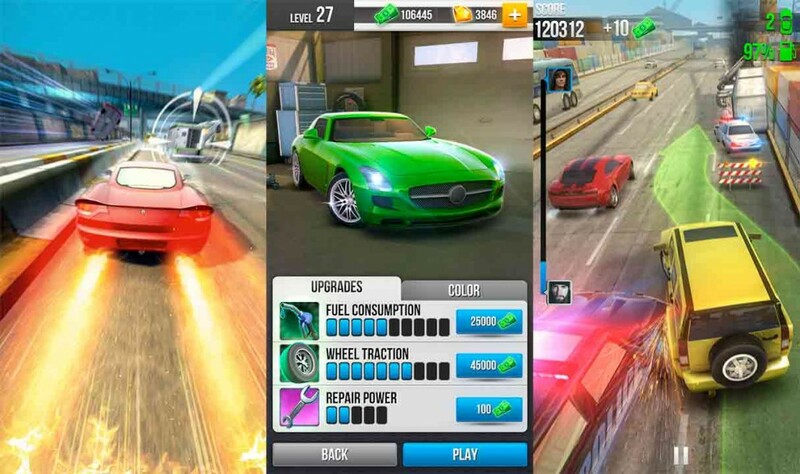 The game provides you with 10 different cars, and each comes with its own strengths and weaknesses. In order to choose the right car, you need to consider your playing style and the cars’ strengths and abilities. 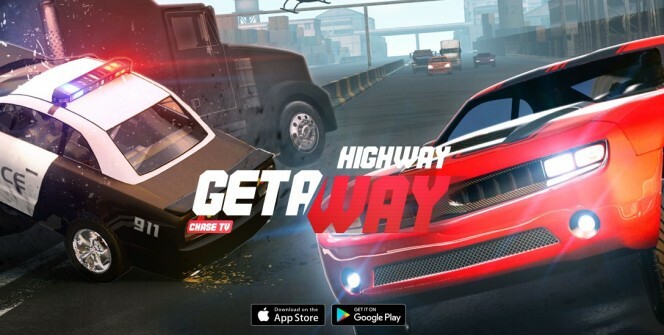 As far as choosing the gameplay mechanics is concerned, you can adopt things like navigating through dense traffic, dodging police blockages and refueling on the go. Other great driving practices that you can use include using nitro to accelerate faster and using a wrench to fix your car on the go. The game is simply over when you crash into a police car regardless of your energy level, so you need to always keep a distance from the cops. The police cars will be switching lanes to lure you towards them, so pay great attention to the chasing cars. To know when the cop cars are about to switch lanes, look out for red arrows being emitted from their cars. One great way to perform this trick is to turn your car to a lane with obstacles then turn to a safe lane before hitting the obstacles. The police cars will follow you to this unsafe lane and will most likely crash into the obstacles. Some non-police cars will try to do the police a favor by attempting to trap you, but you can always punish or escape them. One great way to avoid these cars is to drive in the rightmost lane which is the safest and has little traffic. Another great way is to lure these cars to lanes with obstacles where they can crash, giving you more freedom. In case you didn’t know, drafting or slipstreaming is a unique way to gain speed from speedy cars by driving close to their rear end. In this game, you will not only increase speed when drafting or slipstreaming but also win Near Miss Bonuses. There are a number of ways to earn cash in this game, but the most popular ways are winning Near Miss Bonuses and rear-ending the money truck. When you barely miss hitting a car, you gain a Near Miss Bonus which comes with money. On the other hand, when you rear-end the large white armored van, its back opens and releases some money for you. When it comes to using the cash, it is recommended to upgrade your car or buy a new one. If you have cash to spare, you can also buy boosters to give you an edge on the road. If you want to download this addictive racing game on your Mac, laptop or desktop, you need to use an Android emulator. This software allows you to download the game app and play the game on your computer. Sometimes when playing Highway Getaway: Chase TV, bluestacks ask you fee to pay but gives you option to download some apps. Every time it asks you just select “Install apps” and continue using it free. I hope you enjoyed this article, please rate and share. If you have problems running Highway Getaway: Chase TV on desktop or any other issues, leave a comment below.